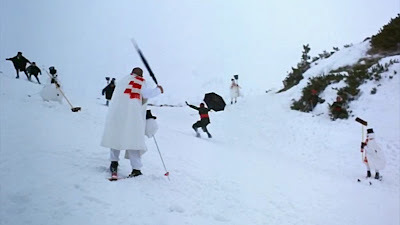 You may not be aware, but the Winter Olympics are still underway. Apparently, there's more than Curling going on. There's also skiing. 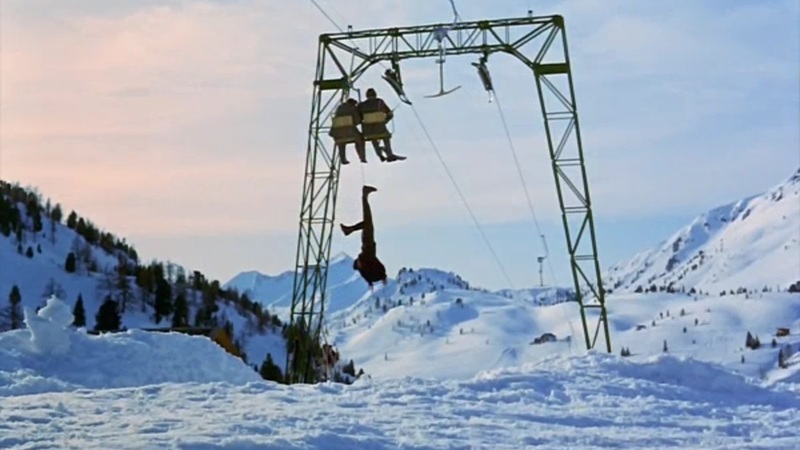 Not water skiing, but skiing on snow. And there's a lot of that. And, there's Bobsleigh. Some calls it Bobsledding. 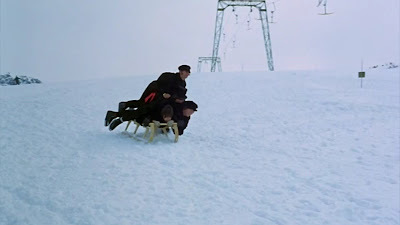 The Olympics call it Bobsleigh. The four-man bobsleigh competition is the top of the various bobsleigh events. There's two-man. There's women's competition. But, the big deal is the four-man bobsleigh. The competition begins soon, and the medals are awarded this coming weekend. In preparation, we're offering another primer on Olympic events. So, with a little Help! 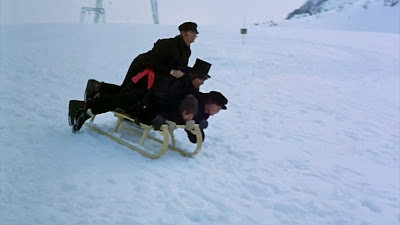 from our friends, we'll explain the four-man bobsleigh competition. Each team consists of four men, stacked like cordwood atop a sled. One wears a top hat. 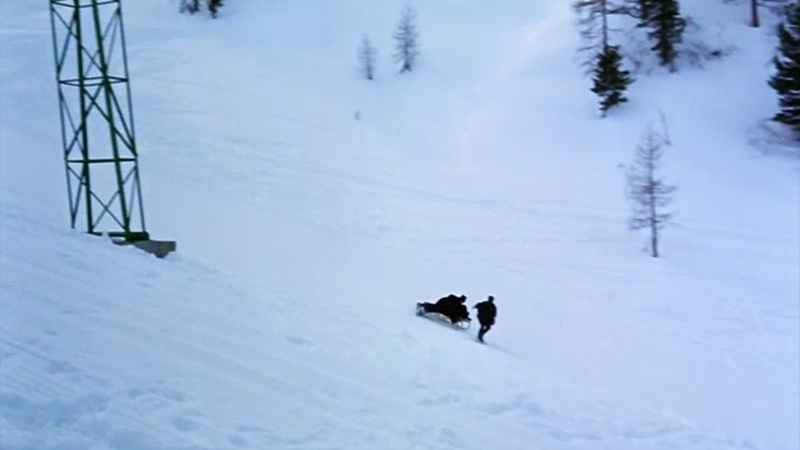 The team must navigate down a hill of snow, all together. 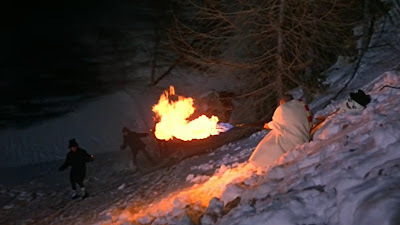 It is permissible within the rules to lighten the load, allowing the team to increase speed, if you can ring the lasso of the Overhead Mad Scientists with the foot of the man on top. If successful, the top man dangles overhead, allowing the other three to pick up speed. ...and they continue downhill until they fall over. When that happens, they mount skis, and finish the course by avoiding umbrella-carrying snowmen. 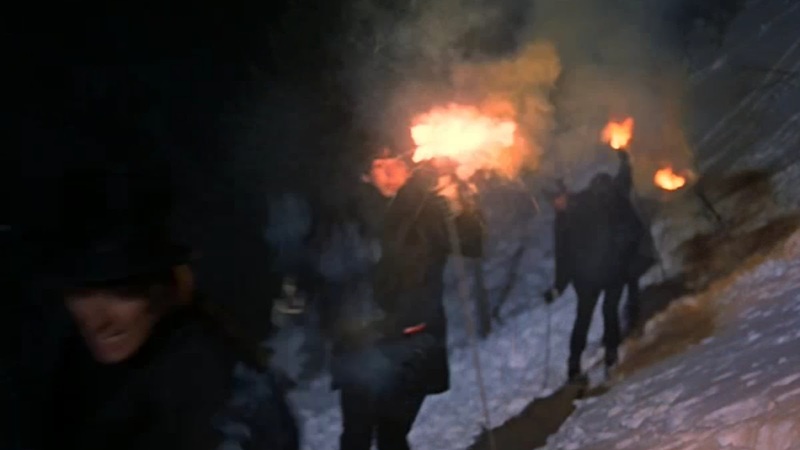 ...lights the team's ski poles on fire. 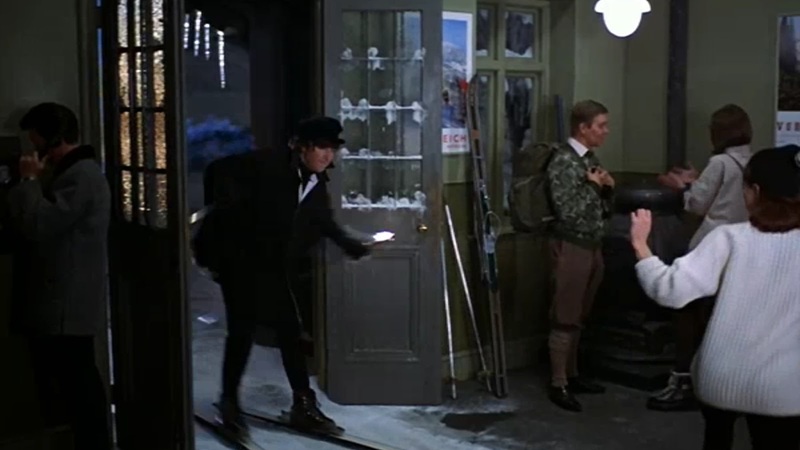 The team then reaches the end of the course, and orders a ticket to London. First team to Heathrow wins. Enjoy the rest of the Olympics. 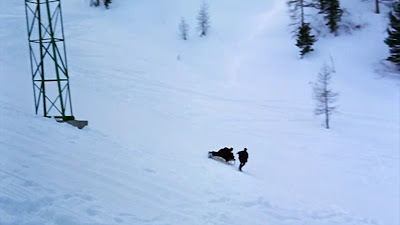 Basil, could you walk us through the conservation of momentum calculation showing that removing the topper adds speed to the remaining sled team? Wouldn't the topper's momentum be transferred to the mad scientist or could it happen either way depending on technique? Basil failed to point out that the original bobsleigh competition had a horse pulling four (often inebriated) contestants. 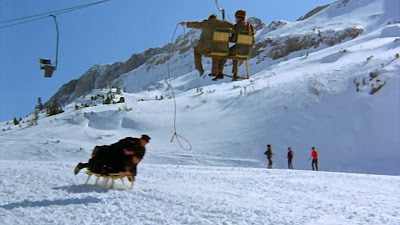 However, the horse was later dropped as the sleigh would often get ahead of the horse, causing an eventual wreck and considerable head stomping. Back in the day, I was certain I had earned the gold, but I ended up in Gatwick Airport. Bobsled? Looks more Luge-ist to me. 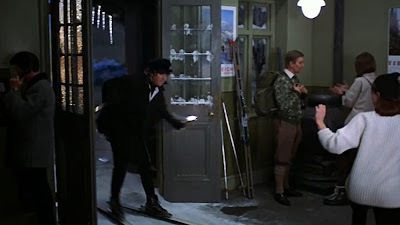 All I know is, it's the most enjoyable of Olympic sports, for the team members. They usually go "Ho ho ho-ho ho" all the way downhill. I had the gold, it came in a bottle labeled "Laphroaig" and would up having a devil of a time leaving Glezgah Prestwick! Oppo beat me to it. Never really understood all the Ho Ho Hoing, but sports have a lot of odd rules. I wonder how the Jamaican team did this year?